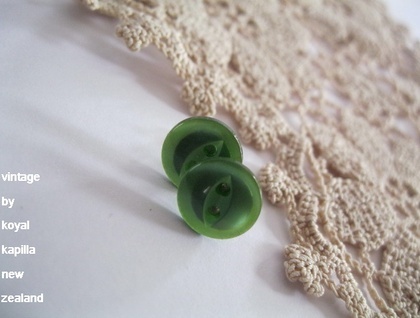 Introducing "green" vintage buttons earrings on stainless steel butterfly backings. Extremely beautiful that lights up your face. 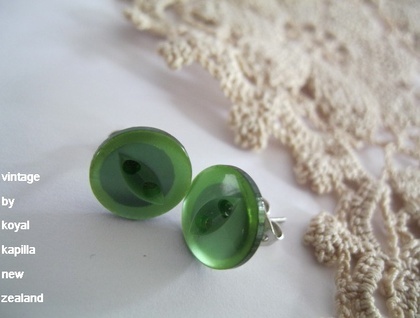 Approx size 4mm. Lovely and tiny but very striking.